So, by my count, the indefatigable Dwayne Johnson is essentially booked straight through to the year 2025, or thereabouts – and he’s still adding projects to his mighty slate. 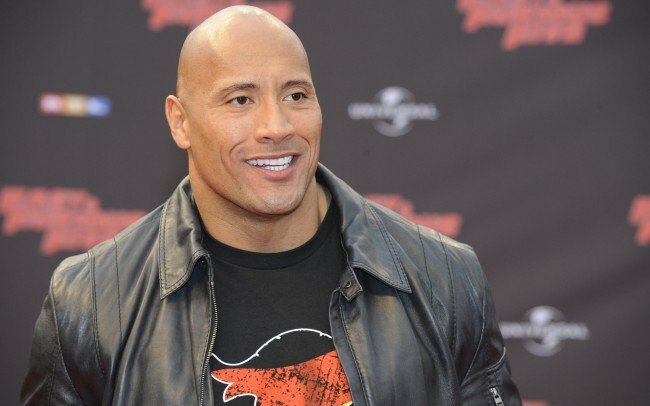 With starring roles announced on what seems to be a weekly basis, the actor is also working to expand his presence behind the camera – and the newly planned Son Of Shaolin will fall into that category, with Dwayne Johnson on board as producer. The film will be based upon the yet-to-be-published graphic novel of the same name, written by Jay Longino. Since this source material has not yet hit the stands, plot details are scarce. But, as per Deadline, it will tell “a contemporary Kung-Fu story that intertwines Shaolin mythology with many of the current issues faced by teens growing up in gentrifying neighbourhoods.” Author Longino will also write the script, but the director’s chair apparently remains vacant at this time. This premise – featuring the combination of eastern mythologies and western cultures – is very much on-trend in the current film and television landscape, thanks to Marvel projects such as Daredevil, Doctor Strange and Iron Fist. The addition of Dwayne Johnson’s name to Son Of Shaolin – even in an off-screen, producing capacity – lends added weight to its status as an action film, featuring a dominant central hero figure. It is difficult to predict who might play that central hero figure, without the resource of greater plot detail. But, as initial suggestions, how about Godfrey Gao (The Mortal Instruments: City Of Bones), Dennis Oh (The Forgotten), or Steven Yeun (The Walking Dead)? As for director, I’m hoping for Karyn Kusama (Girlfight) on this one. But, as ever, it will be the name Dwayne Johnson that draws attention to Son Of Shaolin – at least for the time being. Whether he makes a small onscreen appearance in the project or not, the actor-producer is certainly making all the right moves to guarantee longevity in his career, and a future in bringing new stories and voices to audiences.